Enjoy some photos from our Past Events! Thank you for supporting our 2012 sale! Thank you to everyone who donated and who came to our used sports equipment sale in October. We had a great turn out and many went home with excellent sports equipment for their kids and some for themselves too. Some even got their Halloween costume at the sale! boots, bikes, bats, balls, snow pants, hockey and baseball gear. Some just stopped by to donate money - thank you. Thank you also to everyone who helped during the day. 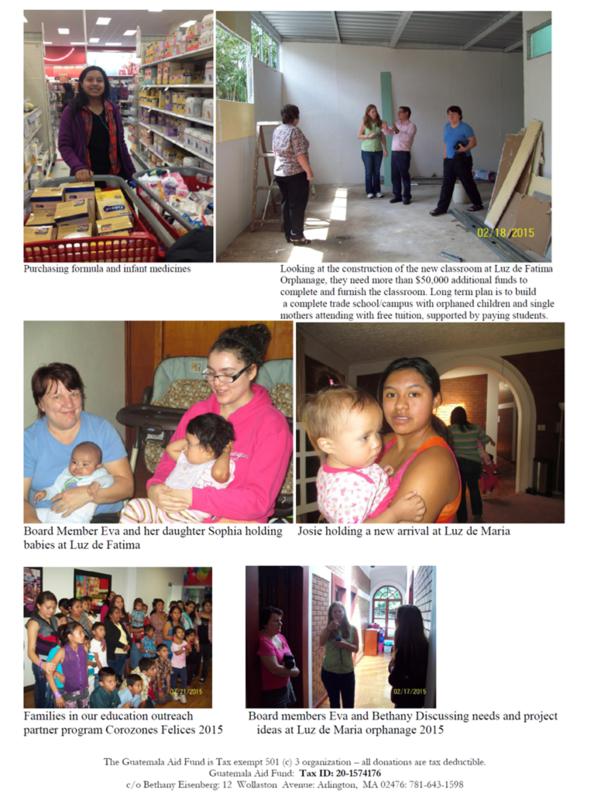 We raised over $3,000 which will go to to the needy children we support in Guatemala. Gracias! Thank to to everyone who helped and came to the sale! Guatemala Aid Fund is an approved non-profit on eBay Giving Works through Mission Fish. In October 2010, we had our first on-line auction with loads of exciting items. Did you know that you can choose Guatemala Aid Fund as a recipient for a % of proceeds of items sold? Read more on our page on eBay and make sure to visit soon! Contact us to be on the mailing list for upcoming events! A beautiful day in New England and a great day for the fiesta. Over 100 parents and children attended the Guatemalan Fiesta 2009 in Newton, MA. Many events throughout the afternoon kept all entertained. Bonaparte the magician was the highlight but the pinatas were quite popular too. What child wouldn't enjoy smacking a bag filled with candy and toys in the hope of being the ONE to bring all the goodies to hopeful friends? The enchilada dinner was popular and not many enchiladas were left over at the end of the day. The silent auction was a huge success and bids were coming in left and right. Happy owners went home with everything from beautiful Guatemalan handicrafts, coffee, frames photos with motives from Guatemala, authentic Guatemalan clothing, museum passes, massage sessions and much, much more.